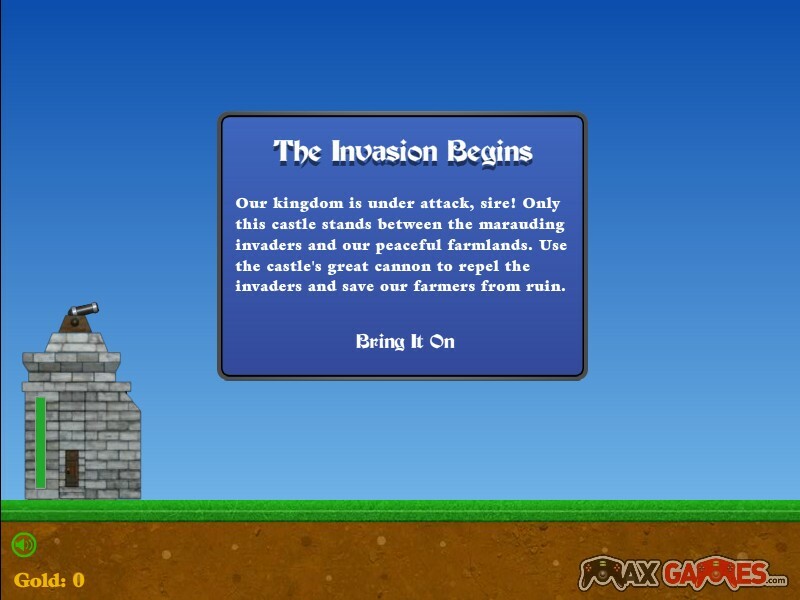 Your kingdom is under attack by marauding invaders, and a lone castle is the only thing standing in their way. 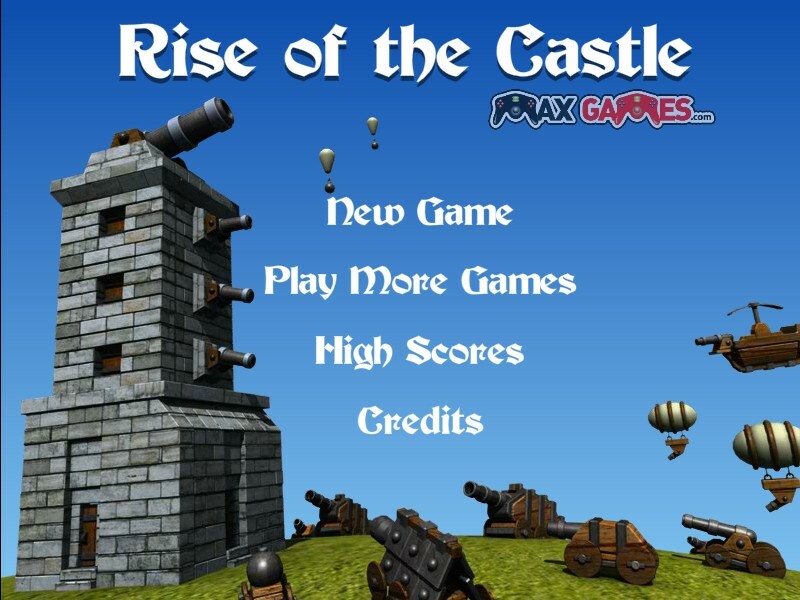 Your mission in this cool turret defense game is to take charge of the defenses, build up your castle to ever greater heights, and save your people. 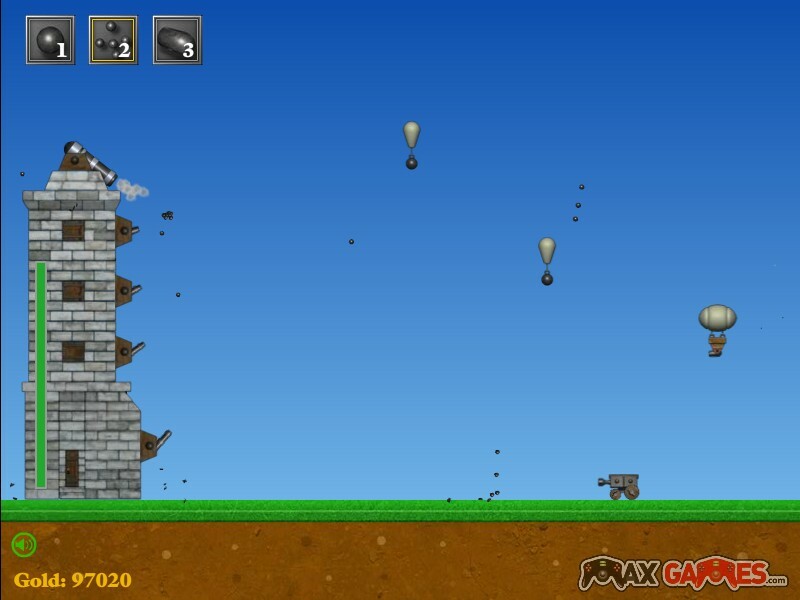 Use the castle's great cannon to repel the invaders and save your farmers from ruin. 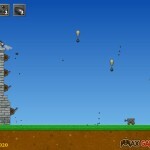 Use YOUR MOUSE to aim and click LEFT MOUSE BUTTON to shoot. 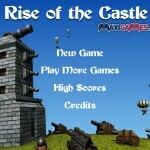 As you destroy enemies you earn gold which you can spend on upgrades and castle repairs. 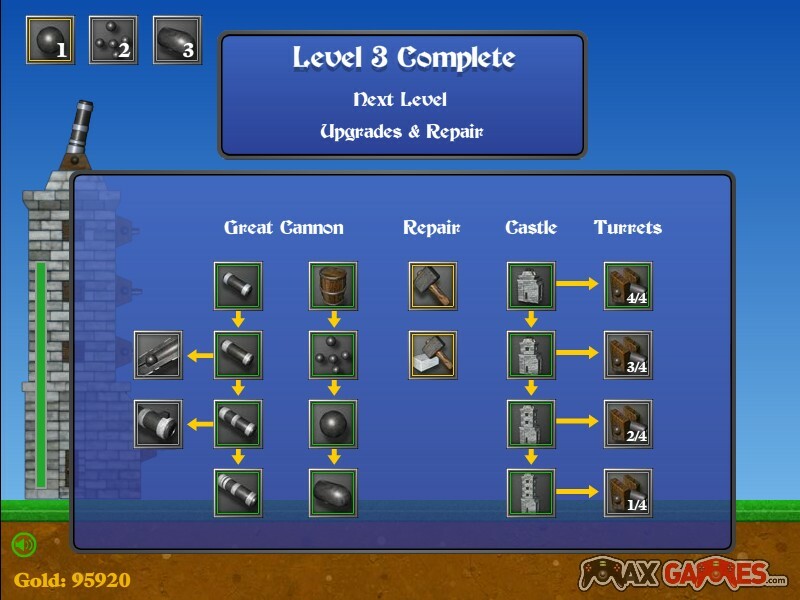 You can also upgrade your castle and buy support cannons. Good luck!